Jane Compson and Lynette Montiero join us to speak about their paper, Still Exploring the Middle Path: a Response to Commentaries. What if you were new to running, and you were going to train for a 5k. Good for you! You diligently check with your physician, get the right shoes, and start to participate in a group that helps you train. As the training progresses, you notice your health improving: you don’t get out of breath going up the stairs, you feel stronger, even your older clothes start to fit again. What if your fellow 5k trainers were out for one of your runs, and a big group of old marathon runners passes by, criticizing you for not doing what they’re doing. They call your 5k just a lesser version of what they’re doing, and condescendingly cast aspersions to what you are finding to be of benefit in your life. Worse, they’re critical of you supporting the greedy running shoe corporations, all while conveniently ignoring they’re wearing the same shoes themselves. This reflects more on the marathoners than the 5k runners. And is, unfortunately, what we see happening as some critics of mindfulness do exactly this: belittle mindfulness that isn’t within their own view of what they think it must be, fear monger about watering down their tradition, hold you accountable for corporate greed, and engage in the hypocrisy of condemning what you do while ignoring their own contextual failures. Valid criticism is perfectly legitimate and is based on evidence that includes causation, and such discussion is actively invited — but not accepted, as it’s easier to criticize than it is to create something new. 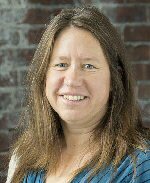 Jane Compson is Assistant Professor in Interdisciplinary Arts and Sciences, University of Washington at Tacoma. Jane seeks to apply her training in religious studies to contemporary contexts. Much of her current research interests involve applying insights from Buddhist traditions, particularly Buddhist understandings of the mind and its relation to suffering, to contemporary contexts, such as environmental education and healthcare. Jane’s teaching reflects her interests in applied ethics and ‘engaged’ religion, and she currently teach classes in Comparative Religion; Environmental Ethics; Philosophy, Religion and the Environment; Biomedical Ethics and Introduction to Ethics. Lynette Monteiro is a Clinical Professor at the University of Ottawa School of Psychology. She completed the Mindfulness-based Stress Reduction in Mind-Body Medicine, the Practicum in Mindfulness-Based Stress Reduction at the Center for Mindfulness in Worcester MA, and professional training in Mindfulness-Based Cognitive Therapy for Depression Relapse Prevention. She is trained in Cognitive Behavioral Therapy and Cognitive Processing Therapy for the treatment of PTSD in active duty and veteran police and military members.